Customized for your specific automobile. Lists your year, make, and model of your automobile. Lists your two most frequently used service departments. Allows you to keep track of everything concerning your automobile. Allows you to record all automobile operating and maintenance expenses. Do not depend of your mechanic, dealership or maintenance repair specialists to keep accurate records on your automobile. 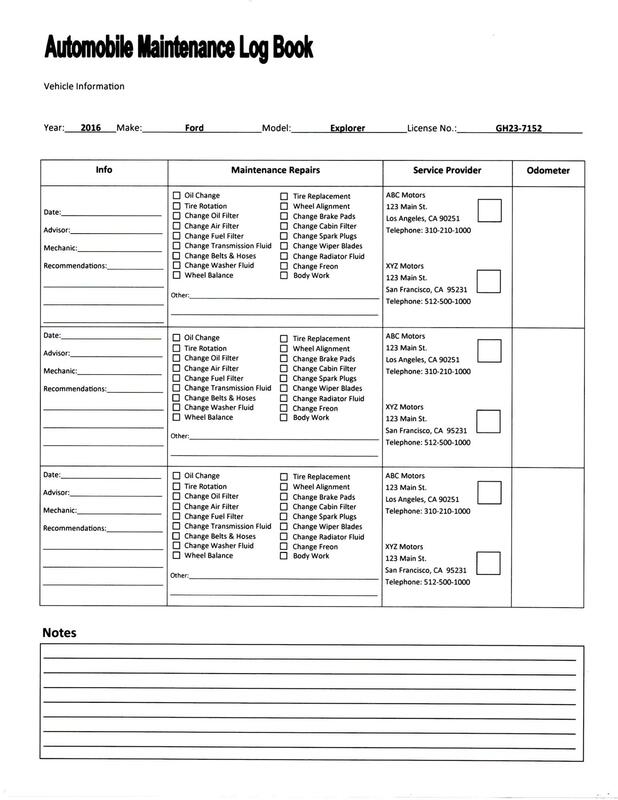 Keeping and maintaining your own automobile maintenance log is a very simple way to keep track of all routine maintenance, repairs, and costs associated with your automobile. When it’s time to sell your automobile, having accurate documentation about your automobiles’ maintenance will be a positive thread of evidence in getting the price that you want for your automobile. An accurate record of when you put fuel and oil in your automobile and how many miles you drive lets you check your gas and oil conservation. Using your very own Automobile Maintenance Log Book will allow you to keep accurate records and all things associated with your automobile, and during tax season it will help you make a mileage claim to the IRS. Documenting automobile work and repairs help you keep track of all the maintenance work and costs that your automobile has undertaken, ensuring that your automobile is always in tip-top shape. Documenting every repair or maintenance work and costs on your automobile will help you process warranty claims much easier when utilized. 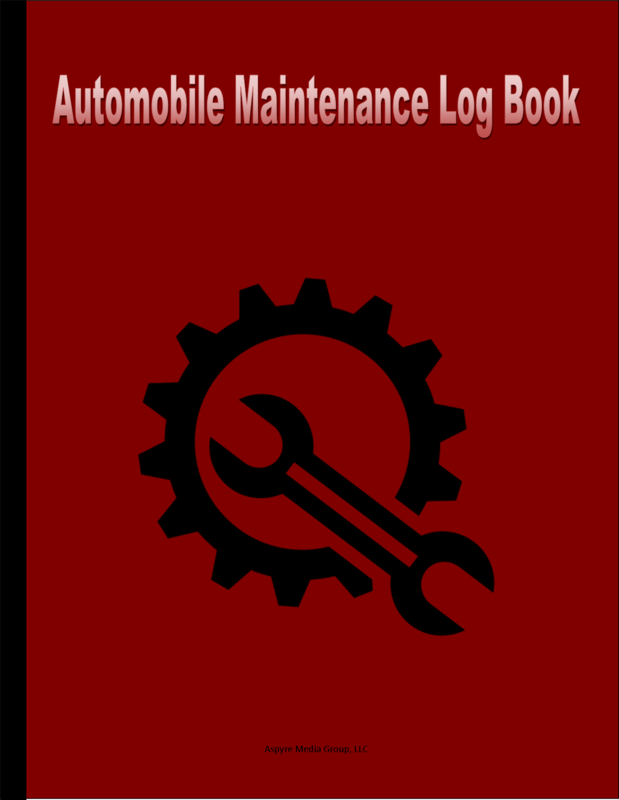 The best way to prove your automobile’s value to a potential buyer is to show them your Automobile Maintenance Log Book. Maintenance records will go a long way to establishing the value of your automobile.